Today we’re sharing our take on a vintage inspired wedding with elegant touches of something blue. An imaginative combination of multiple blue flowers, décor elements, and favors creates an eclectic effect that is elegant with a minimalist vintage vibe. Here are some of our favorites for this look! 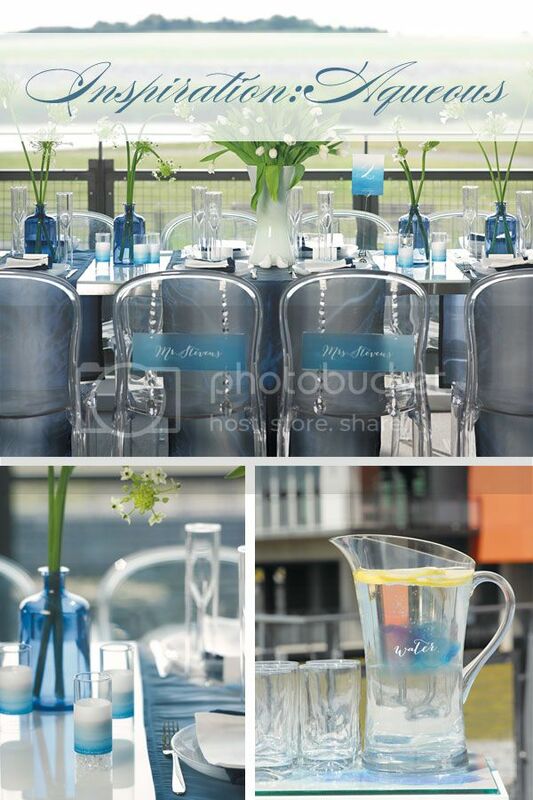 Incorporate different hues of blue in both florals and décor elements to add a sense of depth to your table display. This vintage style glassware adds a truly distinctive look that complements the vintage blue theme. This classic and romantic couple cake topper is one of our all-time faves, and you can personalize the shoe color to be blue! Serve the cake up in style with a vintage inspired serving set alongside blue personalized paper napkins to complete the look. Thank your guests with a beautiful linen pouch filled with loose leaf tea or a mini bouquet in a vintage inspired creamer. Your guests will appreciate your attention to every little detail. Eco-friendly bubbles are also tons of fun and a wedding guest favorite. Cute little bells have long been a wedding classic and a sentimental detail that still rings true! Add a vintage style tag and blue ribbon for a favor that lets guests join in on the celebration. There are two things to remember when making the decision to DIY your wedding favors. Number 1: you want your design to be pretty but simple, read easily replicated 100 times over! Number 2: the bits and bobs required to complete a concept add up so make sure each individual component coming together to create your guest giveaway comes at a low price point. To get you started on the right track we have just the example to share today. Simple, sweet and super cute, these aptly candy shaped favors are a DIY dream. Here’s how to get the look. The How-To: once you’ve filled your box, wrap it, leaving an equal amount of excess paper on either end for the tie offs. Tie ends with satin ribbon and then add in the gold twine. Run a couple strands of gold twine from one end of the box to the other, creating an imperfect layer over your wrap. Complete with tag. The How-To: once you’ve filled your box, wrap it, leaving an equal amount of excess paper on either end for the tie off. Tie ends with wired gold ribbon, curling the trailing strands. Complete with tag. Robin’s Egg, Powder, Sky, Periwinkle and Navy. No matter what shade of blue suits your fancy, today’s installment of our Plan by Color series has a bit of inspiration to match them all. From one of our all time favorite wedding locales (who doesn’t love a beach wedding?!) to the well styled man in your arms, we’re thinking this mood board features some seriously covet-worthy ways to incorporate that “something blue” into your wedding day. And not because it’s tradition. But because it’s fabulous! Still looking for your ideal wedding color? Check out our Mint Green mood board for more color inspiration. 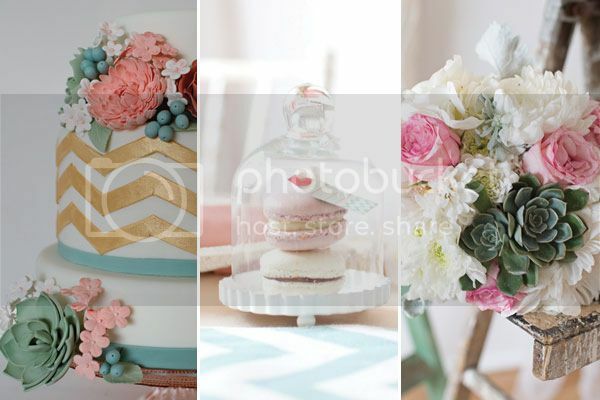 We’re getting set to celebrate Canada’s first official holiday, Victoria Day, and couldn’t think of a better way to start off the long weekend than with a color story board perfect for any celebration, weddings included. Inspired by the gorgeously magical fireworks that mark this unofficial start to summer, with sparklers in hand, we bring you “Take Me Away”. 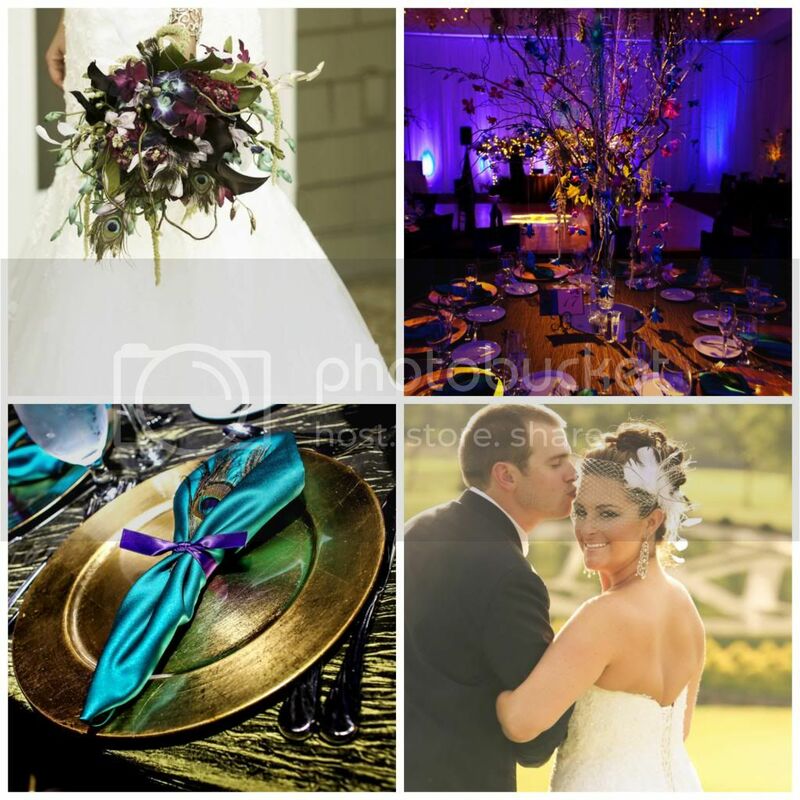 Get inspired with more color stories on Weddingstar’s Wedding Color Inspiration Pinterest board. Stacy + Russell had a truly exotic June wedding, mixing peacock feathers and colors with prehistoric creatures! I love how all the colors flow so beautifully and their dinosaur groom’s cake is amazing! Don’t miss our Love Letter Ceremony Box Set in its’ cameo debut as part of Stacy + Russell’s big day too! Congratulations guys, what an amazing design concept!